ITV will be required to broadcast more current affairs content in Northern Ireland as part of its recently completed deal to take over UTV. Following an Ofcom review of the change in ownership and how it might affect public service content on the channel 3 service in Northern Ireland, ITV has been told it must ensure that UTV continues to meet its licence obligations, including the ongoing provision of news, current affairs and other regional programming. On the back of the review, Ofcom has agreed a proposal from ITV which will see UTV's regional quota of current affairs programming increased from 26 to 33 minutes per week. Allaying concerns about the takeover of UTV, ITV has said it has no plans to make any significant changes to the quantity or quality of UTV's current output, but has admitted that the regional channel does already over-deliver on the amount of regional output compared to what it is required to deliver, which is higher than what is required of ITV's regions in England. 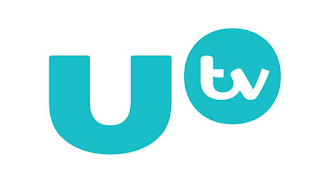 UTV is currently poised to introduce new branding (new logo pictured) in the coming weeks to align itself more closely with the rest of ITV's channels.